I thought I would share a recent experience. Possibly some readers may have a similar experience someday. 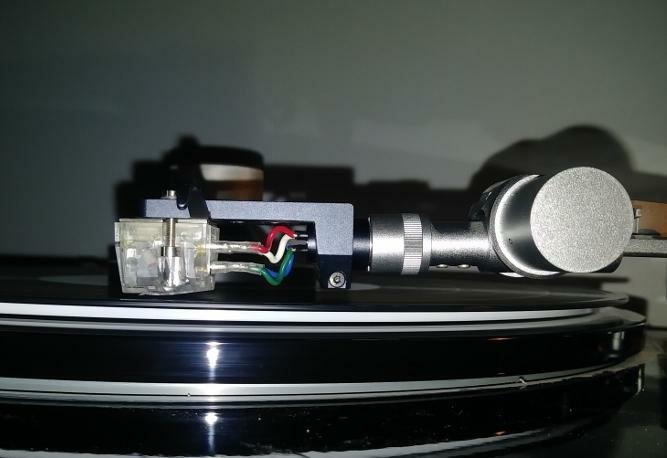 A couple of years ago I installed a Dynavector DV 507 MKII tonearm on my Lenco L75 turntable. It has a removable headshell and not long after acquiring the arm I purchased a second headshell from Audio Sensibility in Toronto. 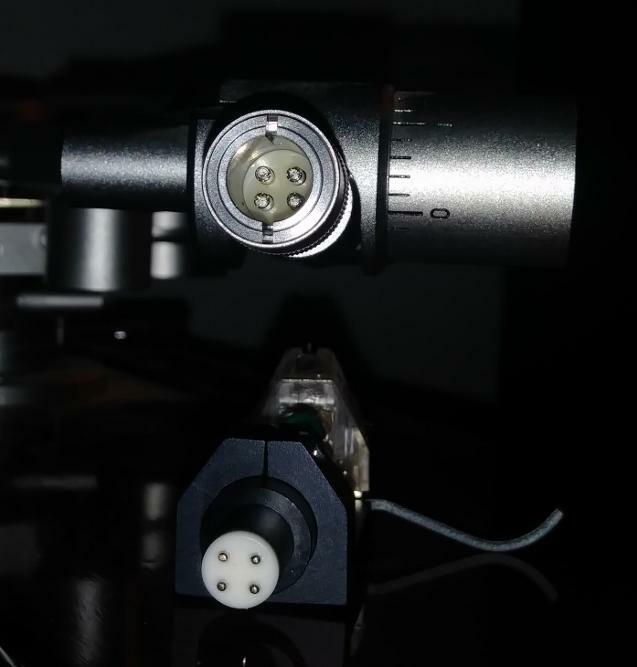 The second headshell is made by Jelco and is fully compatible with the Dynavector unit. I find the Jelco a bit better built than the Dynavector even though it’s slightly lighter. A few days ago, I decided to install the Jelco unit with my Dynavector XX2-MKII cartridge. When I switched back to the Dynavector unit I got a loud hum as soon as I switched it on. I immediately assumed that it just wasn’t seated right so I removed it and reinstalled it a few times to no avail. A slight side torsion on the headshell stopped the hum. Useful troubleshooting information but adding side torsion to the headshell is not a permanent fix. I went back to the Jelco unit and set the Dynavector aside thinking to myself “there goes another $90. for a new Jelco headshell”. The next day I went back to the problem hoping that a new day might bring a new idea. The 4 spring loaded contacts in the tonearm socket looked fine. I took the DV headshell into my workshop and looked at the 4 contacts under a strong light. There seemed to be a dark spot on one of the contacts. These contacts are quite small and it is hard to tell whether one is seeing coloration or simply glare. I took a small piece of 2000 grit sandpaper (I use it for finishing turntable plinths) and gave the contacts a soft rub. Sure enough the black spot disappeared. I reinstalled the DV headshell and discovered to my great joy that not only was the loud hum gone but my phono channel was dead silent. It hadn’t sounded so quiet for as long as I can remember. So, live and learn. A tiny signal passing through a tiny contact. Maybe its something worthwhile checking once a year? I have to add that I would certainly be hesitant about rubbing these contacts with sandpaper too often, even 2000 grit, as this may eventually lead to a different problem that is not so easily fixed.